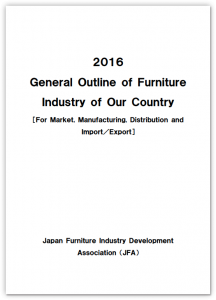 Japan Furniture Industry Development Association (JFA) has issued the trend analysis, “2016 General Outline of Furniture Industry in Our Country,” and English version will be available for overseas customers in the middle of August. 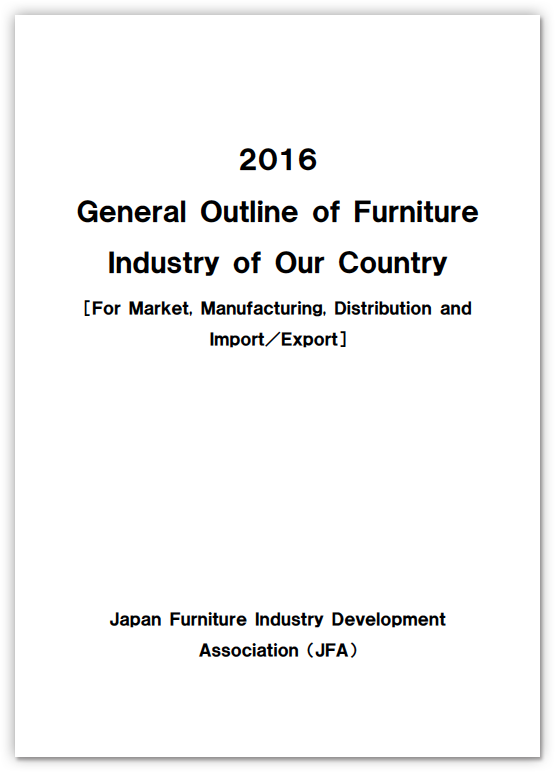 This is a complete trend guide of furniture market, manufacturing, distribution, and import/export in Japan. Pre-Order 2016 Edition and Save $10! To pre-order, please fill in the following information. Areas in * must be entered. Please make a bank transfer to the following account. * Please note “FOR JAPAN FURNITURE TREND ANALYSIS 2016” on the remarks. Once we receive the payment, we will let you know the estimated date of shipment.